Our St. Louis MO CPA firm knows that tax planning is the key to minimizing the amount of taxes you owe now and in the future. 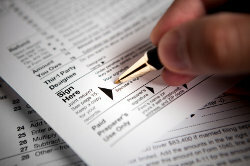 In addition, we make it a point to stay on top of the ever changing tax laws and help keep your business in compliance. When you work with Joe Held & Associates, P.C. we will actively look for and recommend ways to minimize your tax liabilities throughout the year, not just at the end of the year. Our tax planning strategies are designed to work with the short and long-term goals you have for your business. This comprehensive approach is a critical part of the tax planning and preparation services our CPA firm provides. We invite you to call our office at 314-739-2222. There is no cost or obligation for the introductory tax planning and preparation consultation.